Chris Helder is one of the most exciting speakers in the world right now. A dynamic speaker who delivers the “Power of Influence”, his highly entertaining messages have literally transformed how businesses communicate with their clients. 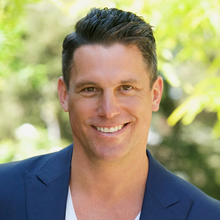 The author of two best-selling books on the power of genuine communication, Chris has wowed over 2,000 audiences throughout the USA, Asia, Australia and Europe. Chris’ brilliant combination of energy, wit, humor and tailored content ensures he relates to every audience member. His global client list includes: Citibank, Merrill Lynch, Glaxo Smith Kline, Toyota, Fuji Xerox, Levi’s and IBM. Chris speaks at conferences in the areas of sales, communication, influence, leadership and mastering the face to face customer experience.